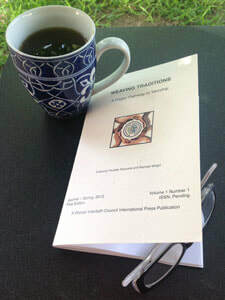 Our first publication, Weaving Traditions (ISSN 2473-4934), is a collection of essays by WICI members on the basic elements of the Wiccan religion. 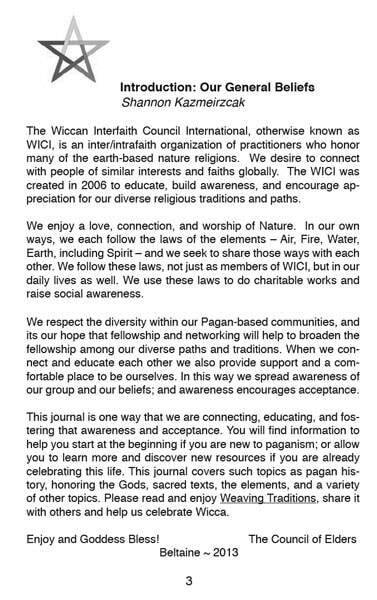 Created by our WICI membership, this educational journal is an introduction to the world of Wicca, suitable for newcomers into the Craft, as well as their family and friends. 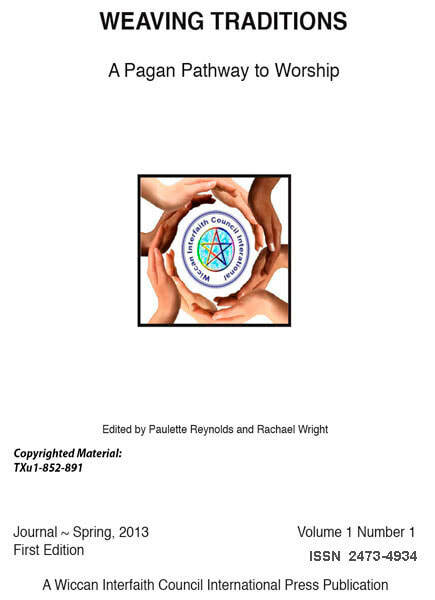 It is also an excellent resource for prison ministry and community outreach. All sample pages are under copyright TXU 1-852-891 and may not be photocopied, downloaded, emailed, or sent via any communication device. 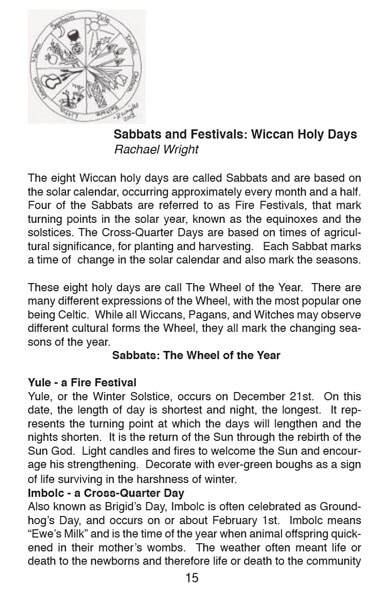 "Weaving Traditions" is a great source and reference point for beginners and long-time seekers on thePagan path. A nice, quick read, but a lifetime reference book. 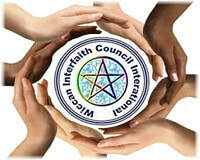 A great introduction to Paganism, its diverse branches, holy days, and some basic principles. 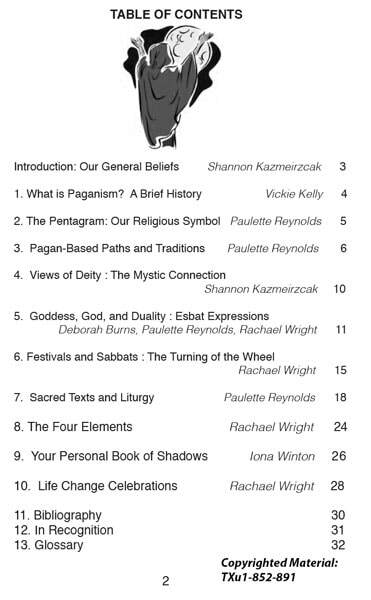 Also, a wonderful resource for those outside Paganism who seek to better know and understand the faith. Ships from Austin, Texas within 24 hours. Printed by alphagraphics of Austin.